PLUS SIZES UP TO 54" CHEST IN BLACK ONLY! 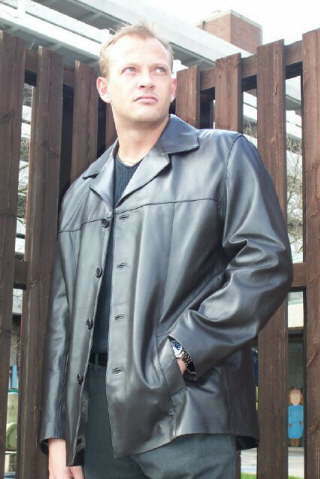 Exceptionally lightweight, ultra soft men's Dark Brown leather jacket, made from Lamb Nappa skins. Small rever collar, straight easy fitting body and sleeves, plain welt side pockets. Two leather edged inner pockets plus mobile phone pocket. 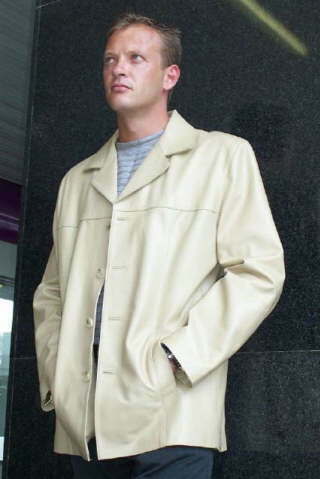 Perfect for smart or casual wear. 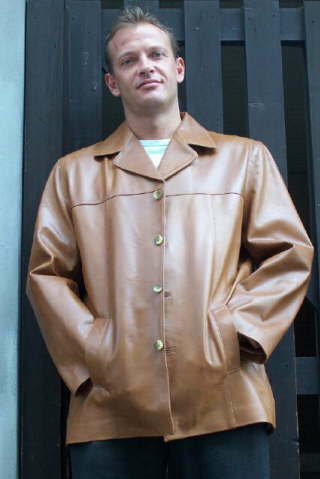 Also available in Tan, Black and Beige (last few, please enquire).